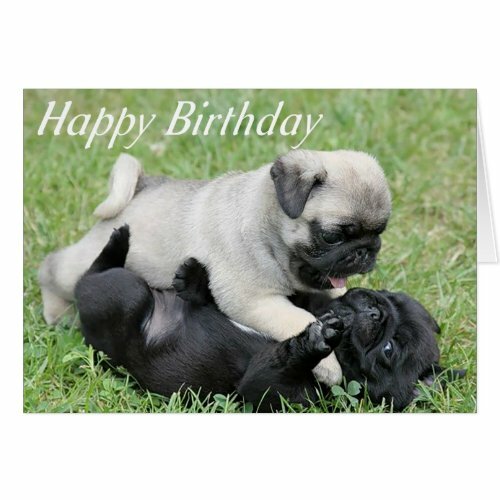 Celebrate The Wrinkles With These Pug Birthday Cards! 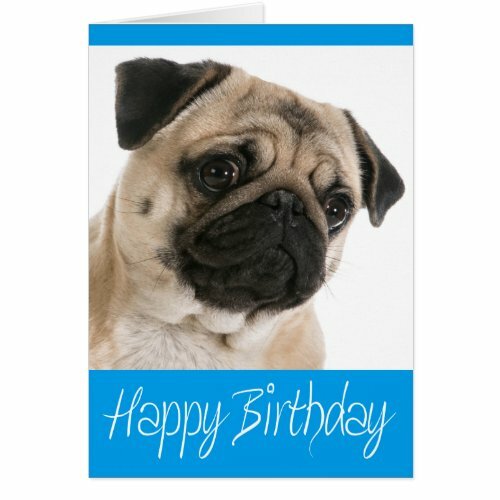 Pugs are absolutely beautiful dogs who always put a smile on my face so it’s no surprise that pug birthday cards are gorgeous and very popular. 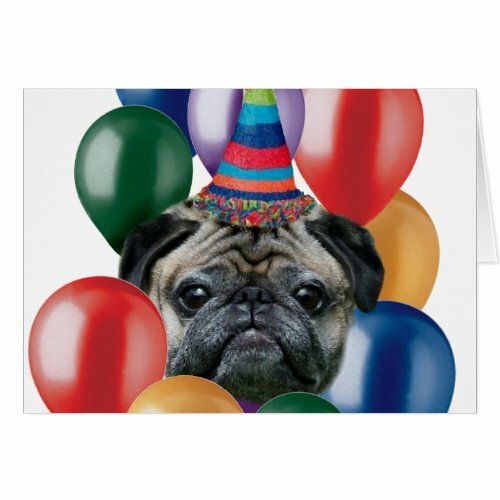 If you don’t fall in love with at least one pug birthday card that I’ve featured here then words simply fail me. I love all dogs, but I’ve never actually owned a pug. 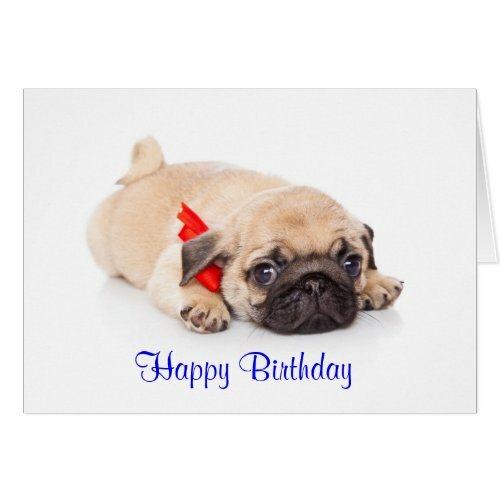 I do, however have cousins and aunts who have been bitten by the pug bug and I think any of them will absolutely flip when they receive a pug birthday card this year. I love the quality of birthday cards from Zazzle, the print quality is excellent and you can find some really unique cards as well. The best thing of all is that you can personalize them. I like to add my very own message in the card, but you don’t have to – it’s completely up to you. 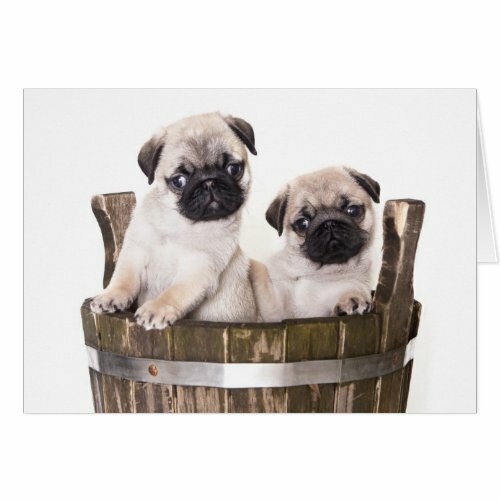 There are some gorgeous birthday cards for pug lovers to choose from, but first let me ask you a question – what’s better than a pug? Two pugs of course! I wonder what these wrinkly dogs think of our obsession about getting wrinkles as we get older – could you imagine if you had to buy wrinkle cream for them! There are so many pug birthday cards to choose from that it’s hard to know how to pick just one. 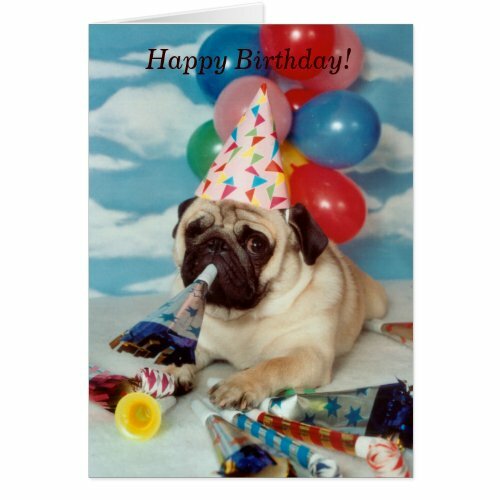 Just remember that birthdays are just a wrinkle in time and if you don’t get the perfect pug themed card this year you’ve still got next year. Let’s round out the dog birthday cards with a selection of really cute ones for you. 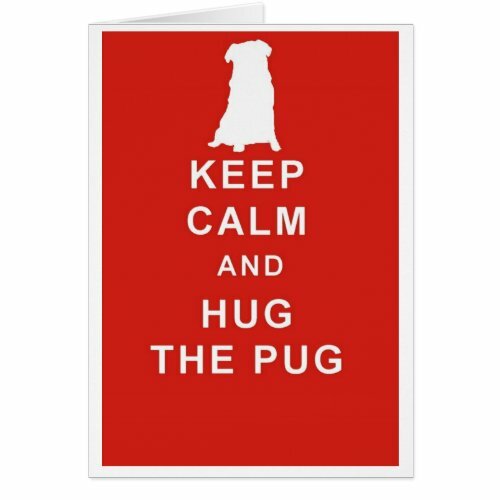 I hope you’ve enjoyed our selection of pug birthday cards of course pug greeting cards aren’t just for birthdays, we’ve found some fantastic pug Christmas cards as well! We’ve never owned a pug, but I do remember a particular pug encounter once. The pug was just adorable and had the most engaging personality. 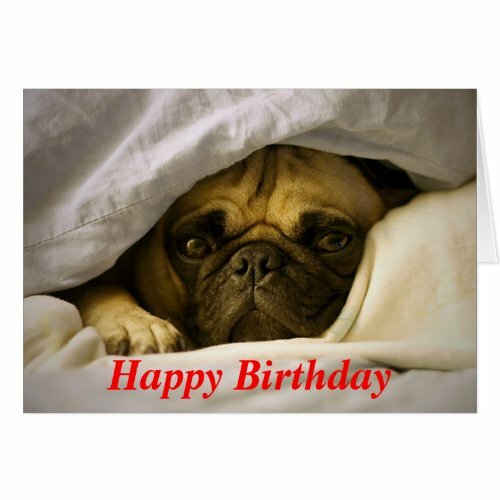 Bet that pug would have posed for pictures for his own birthday card! Such cuties! 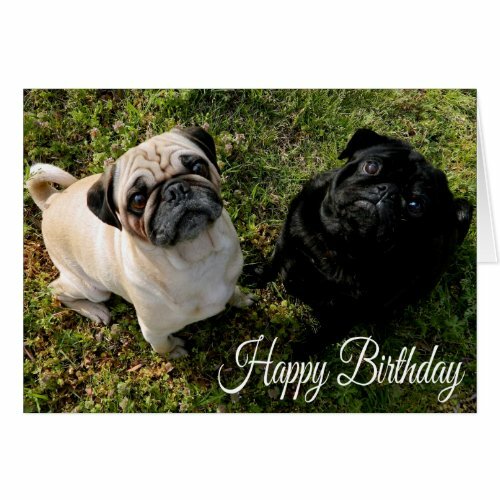 I’ve never owned one either Susan, but the pugs that I’ve met all seem to love the camera, maybe that’s why there’s so many gorgeous pug birthday cards available! Adorable!! I always come across zazzle when searching for customized stuff but never knew if they were any good. Thanks for sharing! 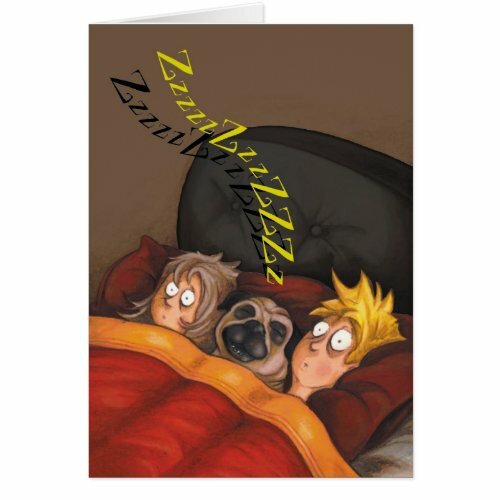 Zazzle cards are really good quality and I especially love how you can personalize them. What a really cute card collection! All of these little guys are just adorable. I don’t believe I have ever seen a solid black pug dog in real life. They are so cute! I want one, but I would settle for the card for now. 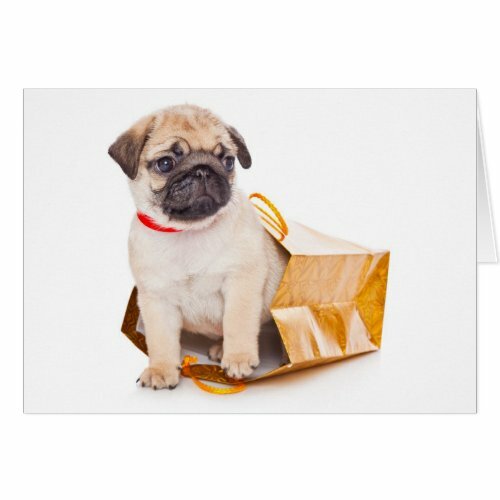 Pugs are adorable and these cards are cute as can be! Yes, there’s certainly something about pugs that make people fall in love with them. Next Next post: Go Dotty Over These Dalmatian Christmas Cards!